Is Dwayne Johnson Up For Green Lantern? Dwayne Johnson met with DC Comics and Warner Bros. recently to discuss his joining their world in some capacity. The superstar tweeted as such, but with the New Year’s holiday, it kind of fell through the cracks… that or people were waiting to hear what it might be before getting excited. Well, prepare to get beyond thrilled. “We just had a big meeting w/ Warner Bros CEO re: @DCComics 2014 we will partner up and create bad assery,” he said in a tweet. Now, rumors are flying, bringing this story much more into focus. Can you imagine Johnson as Green Lantern? Yes… yes, please! With the Zack Snyder sequel to Man of Steel looking more and more as a set-up for a full-on Justice League movie, we could see Johnson as Green Lantern being introduced as this makes some serious sense on many levels. You’ve got Ben Affleck as Batman, Gal Gadot as Wonder Woman and now Johnson circling the role of Green Lantern. And having Johnson join the DC Comics world as a new Green Lantern movie series got going would firmly place the comic house right alongside its rival Marvel in the movie world. Wait, you ask… didn’t Ryan Reynolds just play Hal Jordan/Green Lantern? See, there’s a way this works that is utterly brilliant and works within the mythology of DC Comics. Stay tuned as this thing gets serious. After all, Batman vs. Superman will start shooting quite soon here in the New Year. Will Dwayne Johnson make a good Green Lantern? Yes, oh absolutely... just give him the ring! No, doesn't work for me. 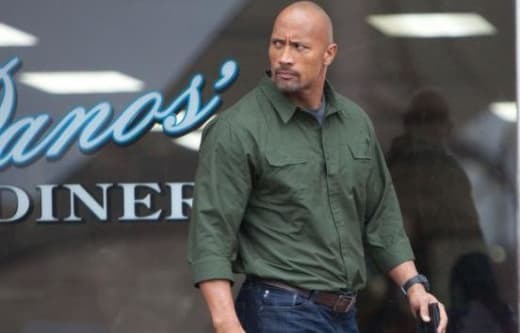 Dwayne Johnson as Green Lantern? Good Idea?